In this charming, clever, and darkly satiric novel set at a writers’ conference, one man finds himself caught in a whirlwind of literary pretention, a suspect in a criminal investigation, and hopelessly in love with a woman who thinks he’s someone else. Mistaken for a famous but reclusive author of the same name, lonely Shriver attends a writers’ conference at a small Midwestern liberal arts college. Completely unfamiliar with the novel he supposedly wrote and utterly unprepared for the magnitude of the reputation that precedes him, Shriver is feted, fawned over, featured at stuffy literary panels, and barely manages to play it cool. Things quickly go awry when one of the other guest authors suddenly disappears and Shriver becomes a prime suspect in the investigation. Amidst eager fans, Shriver must contend with a persistent police detective, a pesky journalist determined to unearth his past, and a mysterious and possibly dangerous stalker who seems to know his secret. But most vexing of all, Shriver’s gone and fallen in love with the conference organizer, who believes he’s someone else. When the “real” Shriver (or is he?) appears to claim his place among the literati, the conference—and Shriver’s world—threaten to unravel. Filled with witty dialogue, hilarious antics, and a cast of bizarre and endearing characters, Shriver is at once a touching love story, a surreal examination of identity, and an affectionate tribute to the power of writing. This reading group guide for Shriver includes an introduction, discussion questions, ideas for enhancing your book club, and a Q&A with author Chris Belden. The suggested questions are intended to help your reading group find new and interesting angles and topics for your discussion. We hope that these ideas will enrich your conversation and increase your enjoyment of the book. When lonely Shriver receives a letter inviting him to attend a prestigious literary conference, he doesn’t realize he’s been confused for a famous, reclusive, Salinger-like author of the same name. He decides to attend and, once there, he is feted, fawned over, and featured at stuffy literary panels and readings by admirers who believe he is the famed novelist. Tensions begin to mount when one of the authors in attendance mysteriously goes missing, and the “real” Shriver (or so he claims to be) suddenly appears to stake his claim among the literati. The ensuing calamity forces Shriver to question everything he thought he knew, come face-to-face with his past, and fight for his future. 1. Shriver pokes fun at the pretensions of contemporary writing culture by satirizing the superficiality of literary conferences—however, do you think there can be value to conferences of this sort? Do you think the academic culture around writing, such as an MFA program or a conference like the one Shriver attends, is important, unnecessary, or somewhere in between? 2. Much of Shriver’s past is obscured, whether purposefully left out by the author or blurred in Shriver’s own mind. If you had to guess, how would you fill in the gaps of Shriver’s past life? Why do you think the author intentionally made Shriver’s history mostly a mystery? 3. So many of the characters in Shriver are heightened versions of real people, almost cartoonish in their buffoonery, right down to their very names (Professors Wätzczesnam and Cleverly, Delta Malarkey-Jones). Would you classify Shriver as satire in the classical sense, akin to Jonathan Swift’s work? How do you think exaggeration and hyperbole of character is projected by Shriver’s perspective, and how does it set him apart from those who surround him? 4. Shriver begins with the following H. L. Mencken quote: “A writer is always admired most, not by those who have read him, but by those who have merely heard of him.” Do you agree with this? Have you ever found yourself in a situation where you’ve pretended to have read a book that you actually haven’t? If so, why? 5. Discuss the impetus behind Shriver going to the conference, despite considering the invitation a mistake. Have you ever been mistaken for someone else, and gone along with it? Would you have done so in Shriver’s situation? 6. When Delta presents Shriver with an old photograph supposedly of himself, he struggles to see a resemblance. How much of one’s identity do you feel is self-made versus informed by one’s surroundings? How does Shriver struggle with his own identity as he is confronted with others’ opinions about him? 7. At a bar, Shriver sees the phrase, “Now that I’m enlightened, I’m just as miserable as ever” scratched into the wood of a seatback in a booth. Why do you think the author chose this phrase, and why does Shriver encounter it at this particular moment? How do you relate to this phrase—does it ring true? 8. The protagonist of Goat Time is also named Shriver. Think about the three Shrivers that exist within the book—our protagonist, Goat Time’s protagonist, and the real Shriver—how do they coexist, in both reality and fiction? 9. Shriver’s life before the conference seems ruled by comfortable routine: soup, baths, and Mr. Bojangles. How is his preferred way of life disrupted by the chaos of the conference and the trauma of Gonquin Smithee’s disappearance, and how does it affect his creativity? 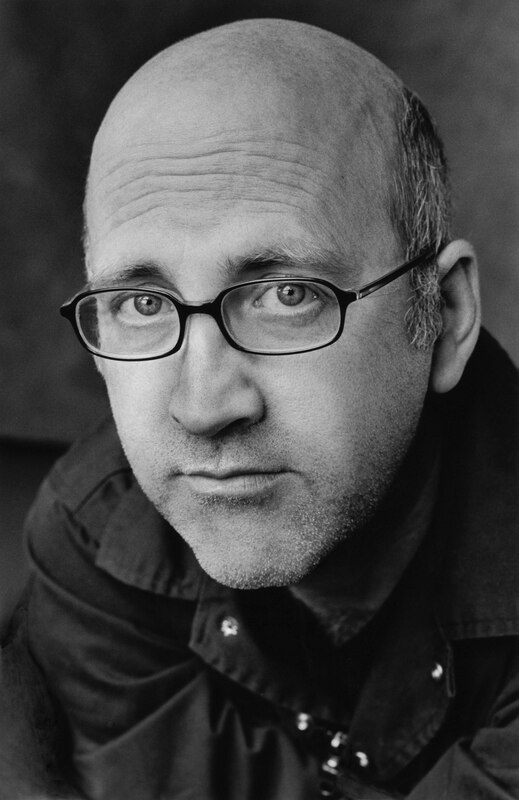 How are his physical inhibitions (inability to read words, tummy troubles at even the smell of books) related to his writing of “The Water Mark,” and how is his creative flow slowly unstoppered? What most inspires creativity in your own life? 10. Who do you think is the real Shriver after all? Why? 1. Chris Belden is also a screenwriter. Imagine Shriver as a movie—devise a cast of famous actors to play the main characters, and even write a scene to act out among your group. 2. Famously reclusive authors include J.D. Salinger, Elena Ferrante, Harper Lee, Thomas Pynchon, and more. Go around the room and list things you’ve heard about these or other enigmatic authors, or impressions you’ve had based on the cult of personality (or lack thereof) surrounding them. Then, read one of their books for your next meeting and do some research on them—how does your experience of their writing compare to your perception of them and the mystery that surrounds them? 3. At your next meeting, take a stab at being a writer yourself! Share a piece of your own writing with the group, and have others reflect on how your personal writing sheds light on your identity. You’ve taught creative writing through the Bronx WritersCorps in underserved areas, as well as at a maximum-security prison—how do your experiences there compare with Shriver’s experience at this writer’s conference, and with teaching a class of MFA students? Teaching creative writing at a maximum-security prison is the most rewarding thing I’ve ever done on a professional level. The students are enthusiastic, motivated, and grateful. I’ve always believed that writing can change your life, and with inmates it’s even more apparent than with “civilians.” These convicted criminals are learning to express themselves in a productive, nonviolent way. Teaching at the MFA level is obviously a different experience—for one thing, the students are allowed to leave the building when we’re done—but in some ways the two are remarkably similar: both sets of students share their writing for purposes of discussion, and in both venues we are trying to communicate story, feeling, character, mood, etc., through language. As for how this compares with Shriver’s experience, there’s not much overlap for me—except that, like Shriver, I am considered an authority (the “writer/expert”) in a teaching environment. Interestingly, I’ve become much more comfortable with this role in the classroom than I have in the outside world, where I still expect to be dismissed as a wannabe. Why do we meet Shriver at this particular point in his life? The simple answer is that, as in all dramatic stories, we start where things are beginning to change. As a writer—whether of fiction, creative nonfiction, plays, or screenplays—you have to ask yourself, “Why is today any different from any other day for my protagonist?” For Shriver, [this is] is the day he steps out into the world, when he pretends to be someone he doesn’t think he is, or could ever be. Everything is about to change for him—he just doesn’t know how. You’re not only a writer, you also studied film and are a musician. How do these three art forms compare and contrast in your mind? How do you decide to tell a story through the format of a novel, versus that of a song or movie? How do they interrelate? Not to be a smart-aleck, but the difference is mainly one of space and time. A song, like a poem or postcard, must communicate a story in a brief amount of time and words. A film, though it might be based on a script [that is] 120 pages long, is digested in two hours. A novel, in contrast, has all the time it requires to tell a story. The technical differences are there simply to accommodate the format. Rhyme and melody in a song help make up for the fact that the story is being told so quickly, without the kind of detail or nuance that a novel can have. A film script must consist mostly of action and dialogue—any psychological motivation must be shown via these two conduits instead of through the interior monologue that novels can use. In a novel the writer is free to do whatever he or she wants, which is both liberating and constricting (too much freedom can lead to a lack of focus). But [a] story is the common element in all three disciplines. Though this is not your first novel, it is the first with a Big Five publisher in New York. How has your experience compared to Shriver’s, if at all? Any time I am taken seriously as a writer, I feel like an imposter. In fact, the genesis of Shriver was a writers’ conference to which I was invited, at which I sat on panels, spoke to students, gave a reading, and was treated like a “real” writer. At the time I had self-published one book and had had a few stories accepted at small literary journals, and here I was sharing the limelight with a National Book Award–winner, a beloved poet, and the author of a couple of New York Times bestsellers. I was so discombobulated that I eventually created an alter ego, Shriver (which, of course, means “writer”), who really is an imposter in a similar situation. It’s ironic, to say the least, that it’s this creation that has garnered me the most success as a writer. You yourself have an MFA in creative writing—where do you stand in the constant tug-of-war of whether it is necessary or even harmful to a young writer to attend an MFA program? What would you say to an aspiring young writer asking if he or she should consider attending a writing program? First of all, strike the word “young” from the question because I have met many “older” people who have attended MFA programs, some of whom are very talented but have not previously had the opportunity to practice their craft and get their work seen. In any case, I think if you are serious about writing and want to improve your craft, an MFA program is an ideal environment to do so. Is it for everybody who wants to write? Of course not. Some lucky people already have trusted readers and a well-developed routine of writing, but many others would benefit from the structure of an MFA program. Like Tobias Wolff, I don’t believe you can teach a person to be a great writer—those people have an innate talent—but I do think you can teach a person to be a better editor and a better reader, and this might help turn a good writer into a great one. But most of all, an MFA program provides a community for writers. Writing is lonely, hard, and frustrating. If you have an opportunity to hang out with people in the same boat, it can inspire you to keep returning to that blank page, which is the hardest part of being a writer. "Chris Belden's Shriver is as hilarious and smart as Michael Malone's Foolscap, as wise and sympathetic as Stoner. Academic farces don't come any better." "A send-up of academia and literary pretension, as well as a poignant exploration of writerly insecurity." "A hoot, a farce about mistaken identity set at a writers’ conference where facile poets and pompous novelists declaim, carouse and, possibly, commit murder. In a style somewhere between Evelyn Waugh and Mel Brooks, Belden’s satire lampoons all things literary but also, amazingly, convinces us to care about the fools that these mortals be." "Enjoyable...Shriver’s fear of being outed as an impostor rings true for any writer—wannabe or bona fide—who’s ever doubted their abilities." "This picaresque and piquant satire of writers, academics, their quirky characters, and content-lacking conferences is reminiscent of David Lodge’s satiric spins on academe. Darkly comic, Shriver also reminded me of Martin Scorsese’s inversion of The Wizard of Oz in the movie After Hours—the obstacles, the quirky characters, the plot turns and pivots. Despite its ability to laugh at the writing world and its daffy denizens, Shriver nonetheless ultimately affirms the essential importance of the word." "A man afflicted with a strange ocular disability and a decidedly quirky response to the smell of books falls prey to a case of mistaken identity (or is it imposter syndrome?) that hauls him well out of his comfort zone, delivering him to a world that is as odd as it is authentic. 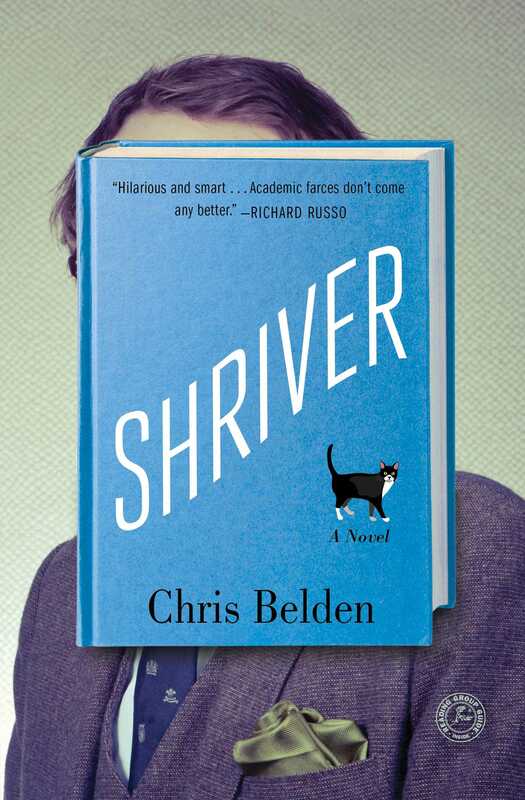 Chris Belden’s Shriver delivers intrigue, a cast of bizarre characters who are also somehow bizarrely believable, and moments of slapstick comedy that are laugh-out-loud funny—all the while exploring the deeply human need for meaning and connection. Read this book!"